This evening, the prestigious Biennaleprisen from Danske Kunsthåndværkere & Designere - the Biennale Prize from the Danish Association of Craft and Design - was awarded to Katrine Borup, Pernille Mouritzen and Bess Kristoffersen for their work Revi og Krat / Wheat and Chaff. A major exhibition of work by the artist, designer and ceramicist Axel Salto (1889 - 1961) opened in February at Øregaard Museum in Hellerup - just along the coast to the north of the city. Salto studied painting at the Royal Academy and graduated in 1914. By 1916 he was living in Paris where he met Picasso and Henri Matisse and on returning to Denmark he produced, edited and wrote for a short-lived but influential journal Klingen / The Blade that was published between 1917 and 1919. He was a member of the Grønningen group of artists and one of The Four with Svend Johansen, Vilhelm Lundstrom and Karl Larsen who exhibited together between 1920 and 1929. In the 1920s he began to design ceramics and his stoneware pieces were produced in the workshops of Carl Haller at Saxbo keramik in Frederiksberg and he also produced designs for porcelain by Bing & Grondahl with his work shown at the Paris exhibition in 1925. This exhibition shows a full range of his ceramic works from small stoneware bowls with incised decoration or bold moulding with Japanese-style glazes to large-scale works with scenes from Classical mythology or stylised nature. Paintings and strong and very confident ink and line-work drawings, including designs for the ceramics, show clearly the style Salto developed from his training as a painter. He also worked with the book binder August Sandgren and a selection of designs for end papers are shown in an upper gallery which have a distinct feel of the 1930s with deep colours and stylised and small repeat patterns. This is a large scale installation by the artist Ingrid Kæsler that looks at how we see colour and how we perceive space and also explores the boundaries of the traditional techniques of how textiles can be coloured and how designs are printed or transferred. At the centre are four large banners - they are described as membranes - that are hung one behind the other and you are encouraged to walk through the narrow space between them to see how the colours and sense of space and distance changes as you look along or through the work. These banners all the same size but are made up from separate horizontal strips of polyester with 12 strips to each - of different widths and painted in strong acrylic colours. There are six colours, reminiscent of the colours of the rainbow but deliberately different and they are repeated in exactly the same sequence - so a run of six and then the same sequence of six to make up a complete banner. This creates what is almost a modulation or wave across the work as the banners ripple across the surface with the slight vertical folds of being hung free of the wall but also a gentle rising and falling of the bands of colour from front to back from banner to banner. Each finished banner was laid out over a large squares of aluminium sheet that was turned through 45 degrees to form in effect a lozenge or diamond and the colour was transferred from the textile to the aluminium to create what are, in effect, translucent windows through which you can see through the work and see light from the gallery windows and the colours of the sequence of banners with a surprising sense of aerial perspective - surprising in that the colours are so strong but the distance between them is tightly confined. It is when you look through, from one to the next, that you see that the word membrane is appropriate. One starting point or inspiration for the work was thinking about how light is refracted by a crystal. The aluminium squares are actually made from four separate long narrow panels set side by side to form the square and with the colour transferred these have been set out on the floor on either side but not in the original sequence. Where the edge of the aluminium has left slight traces on the textile and where small areas of paint have not transferred each has a trace or an echo of the other so you can reconstruct where each aluminium sheet was placed when the colour was transferred. 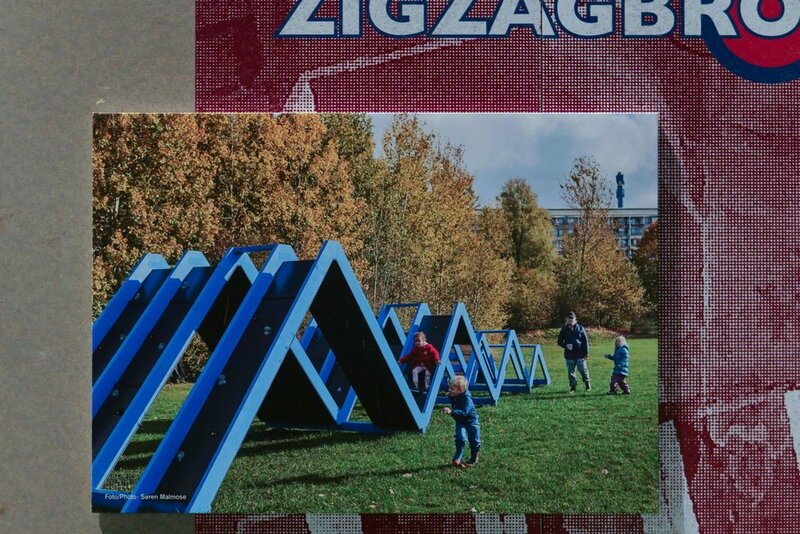 The banners are 3 metres wide and three metres high and the aluminium panels are 1.5 metres by 1.5 metres so there is also a precise relationship between dimensions and scale and how we read space and proportions and about we do or do not make these connections. This is a stunning exhibition in the main hall of Copenhagen Contemporary with the huge space filled with Spruce trunks that are six metres high but stripped of their bark and set on a carpet with a digitally-printed grid that becomes increasingly distorted as you move through the work. The first rows of tree trunks are upright and set on the grid implying a carefully managed forest rather than natural woodland but the grid might also suggest the grid of roots through which, from recent research, trees are now thought to communicate. At the centre of the space is a large ceramic sculpture - the only dark form in the space - and beyond that the trunks are falling, either toppled by the ground appearing to collapse or with the apparent hollow created by the falling timber. You are encouraged to climb on or over the trunks but watching people, it was clear that, as in a forest, the calm and the soft light means most slow down, talk quietly or sit and think - self absorbed. Light from windows and views out have been muted with white fabric that, as in a forest, undermines any sense of distance and direction. The trees were around 100 years old when they were felled and the growth rings on the cut ends adds that dimension of time to the strong command of the corporeal space. Donna Huanca grew up in Chicago. Her parents are Bolivian and she studied in Houston, in Maine at the Skowhegan School of Painting and Sculpture and Städelschule für Bildende Künste in Frankfurt and she now lives and works in Berlin. This is her first solo exhibition in Scandinavia. The title, Lengua Llorona, means ‘crying tongue’. There are sixteen oil paintings on a monumental scale, set away from the gallery walls and at angles to create secondary spaces as you move around the works, and smaller painted-steel sculptures - cut out in complex silhouettes - are set in front of or alongside the larger works. Colour bleeds on to the walls in places and areas of white sand across the floor are shaped and moulded with delicate ephemeral patterns, so this site-specific show occupies the space in an intriguing and very complex way. Through the gallery there is the scent of Palo Santo - from a holy South American tree and used for cleansing rituals. There will be a seres of eight performances in the exhibition space during the exhibition period with models decorated with paint and textiles as living paintings. The exhibition has been curated by Aukje Lepoutre Ravn and performance dates are listed on the gallery site. This is the first solo exhibition in Scandinavia by the London based artist and is performance art without the artist present as Marianna Simnett is central to both works. I found the Needle and the Larynx disturbing but that is a confession and not a criticism because a key role of the artist is to challenge our perceptions and easy complacency. The uneasiness was not because I am queasy about needles - I am not - but this is presented as the grimmest of a Grimme’s style fairy story told as a voice over about a young girl who threatens and punishes a surgeon because she wants him to make her voice deeper. The film is of Simnett herself having Botox injected into her larynx to stiffen the vocal chord so that the vocal range is restricted and the voice drops. It is actually that disjunction between the tale, performed like a black bed-time story, and the clinical calm of the injection process that seems shocking. Faint with light is in a separate gallery - a darkened space where a bank of long light tubes set horizontally respond to the breathing pattern of the artist as she hyperventilates until she faints when the breathing becomes slow and calm and the light patterns subside. The effect is hypnotic and very powerful … the effect of hyperventilating is obvious both in the sound track and in the visual light patterns but here there is absolutely no story or narrative so no reasons are given … this is a highly dramatic act of sound combined with the most simple and abstract use of space and light that again sets up a challenging disjunction. Here it is perhaps not the act itself - of collapse and recovery - that is shocking but that this is on a never-ending loop. There is no respite. 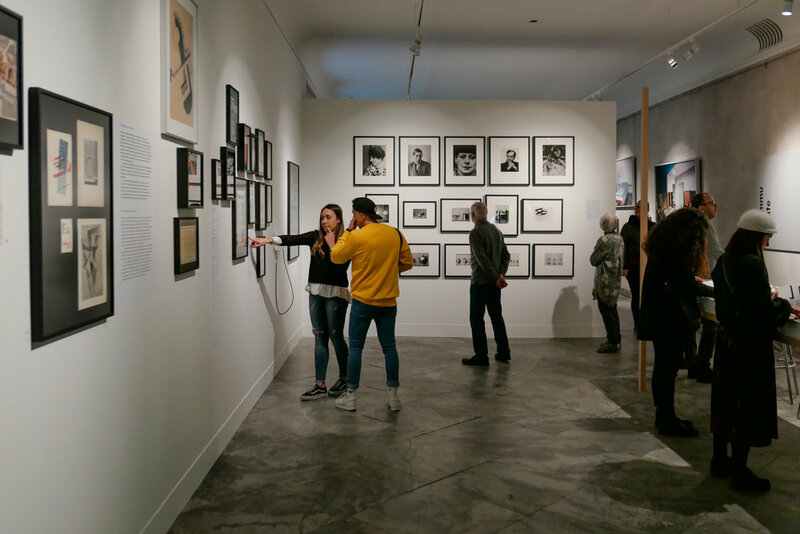 This exhibition is on the three levels of the staircase gallery at the Danish Architecture Centre and is about art projects that have been used to bring about positive changes in vulnerable residential areas. People living in these large housing schemes can feel marginalised or can be isolated by poverty and many, newly arrived in Denmark, are separated from the support of family or old friends. Becoming involved in art - or merely being given access to something new and something that is special to where they live - can improve day-to-day life or can stimulate a new interest; create a sense of involvement; bring a new sense of pride to an area and can create a sense of ownership and a sense belonging to a place. Several of the projects give people an opportunity to tell their own story as an individual rather than being simply an anonymous part of a larger statistic about crime or poverty … statistics that quantify and define problems but can only be a starting point for resolving them. 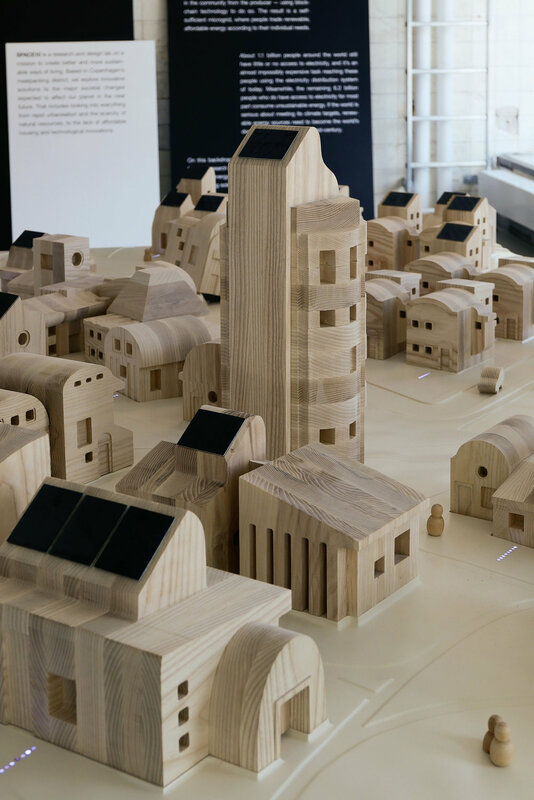 Projects shown here are in Tingbjerg in Copenhagen; Gellerupplaned, to the west of the city centre in Aarhus, and a projects around Blagværd, a northern suburb of Copenhagen, including Kunst Vild in VærebroPark in Gladsaxe. This is a research project by SPACE10 about democratising access to clean energy … exploring ways to bring energy to 1.1 billion people who have little or no access to electricity. Neighbourhood generation could get around high investment costs for centralised energy networks where there is little incentive to innovate. 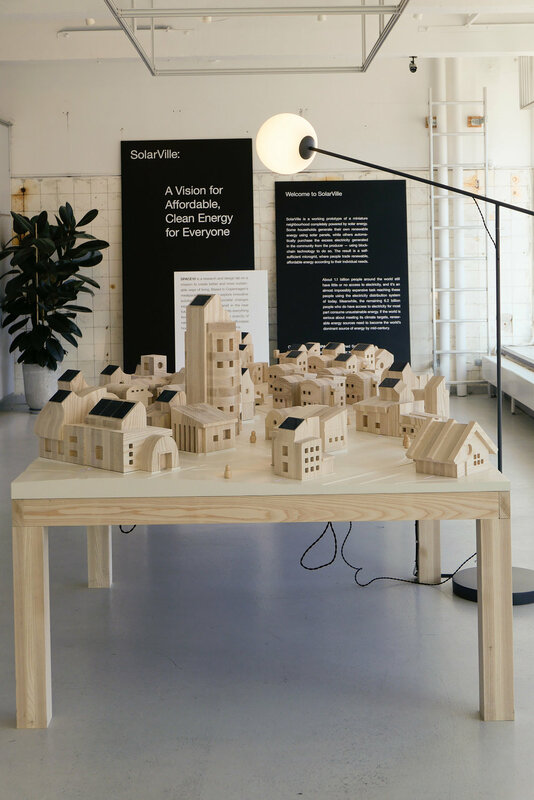 This miniature neighbourhood in wood has been built to a scale of 1:50 as a working prototype to show how some households could generate their own renewable energy using solar panels and some households would purchase excess electricity directly from the producer using block chain to make a self-sufficient community. The scheme would include power storage to provide energy at night - now more feasible with the rapid development of batteries - and Blockchain technology could regulate the system for the sale of electricity and payments by verifying and recording transactions. The project was a collaboration between SPACE10, Blockchain Labs for Open Collaboration; WeMoveIdeas India and Blocktech with the model by Tempral and SachsNottveit. 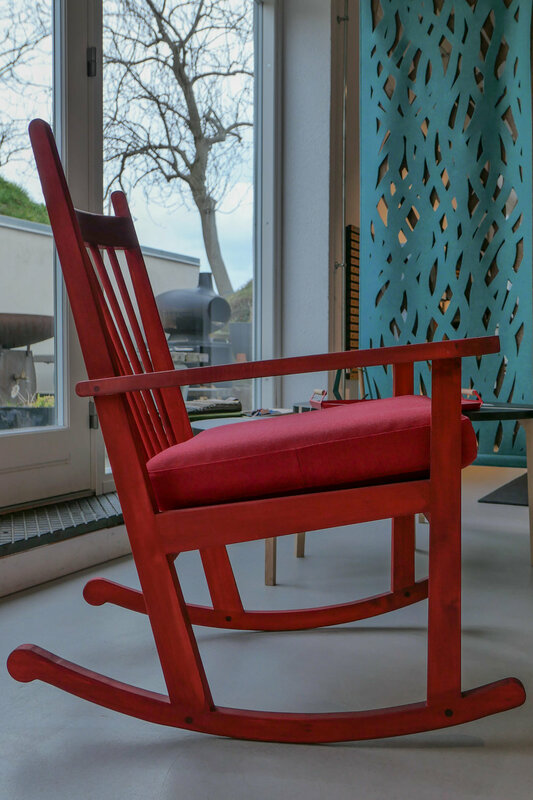 This week is the last opportunity to see the exhibition at Design Werck in Copenhagen of furniture made by students who are about to graduate as cabinetmakers. 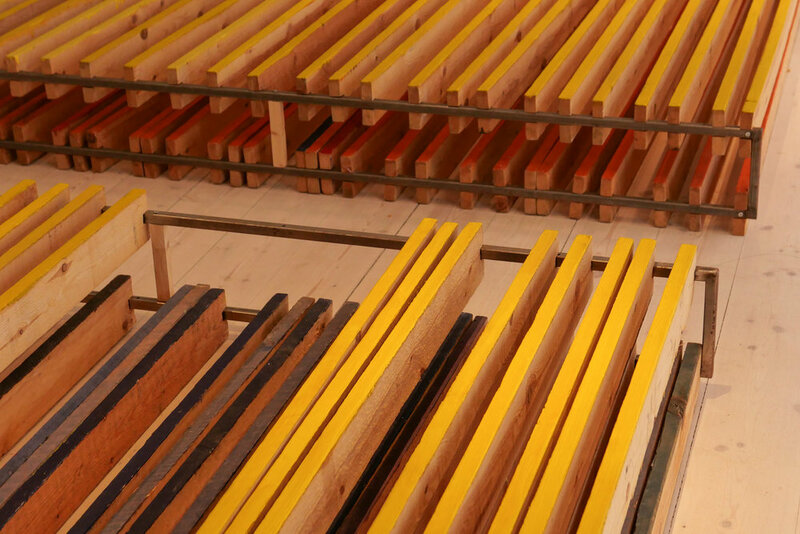 The students from next> in Copenhagen worked in partnership with designers and the furniture is made from lime wood from trees felled at the Rødovre City Hall when the main entrance courtyard was replanted. 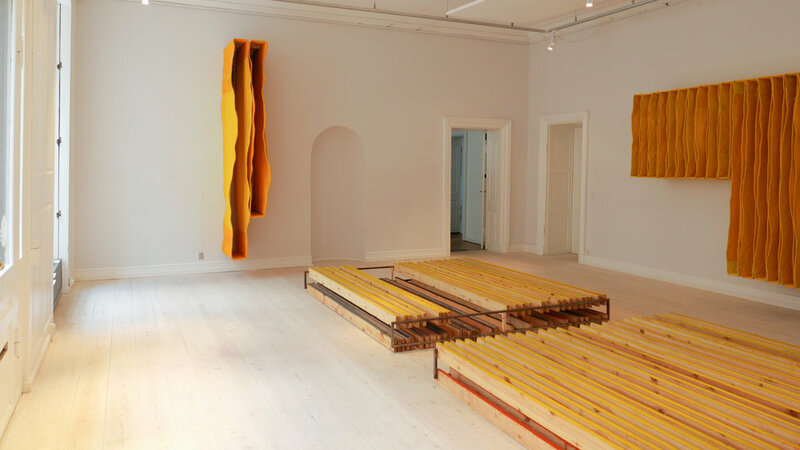 An exhibition has just opened at Design Werck in Copenhagen of paintings and sculptures by the Danish architect and artist Margrethe Kaas. The gallery space at Design Werck has beautiful light in space where furniture and decorative arts are also shown. Margrethe Kaas was given her first set of paints at the age of four and painting has, for her, been a major vehicle for exploring colour. The large-scale colour studies show an architectural sense of planes and space and there are also topographic studies including here painting from visits to New York and London and a painting to reflect the colours and energy of Berlin. 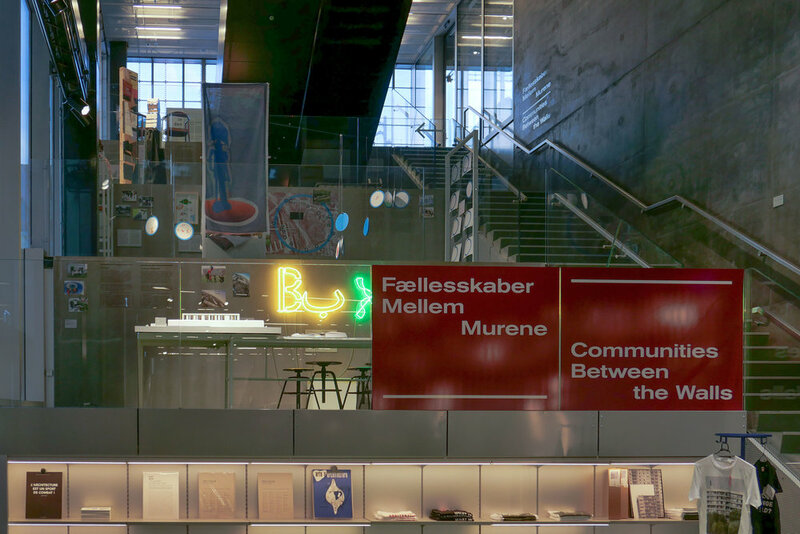 This year, the major exhibition at Designmuseum Danmark is about the history and work of the Bauhaus - the German design school that opened in 1919. The exhibition opens on the 14th March and will continue through to December but as a foretaste there is a small exhibition in the area to the left of the museum entrance with a display of books and journals from the Bauhaus and some of the many publications about the school that are in the library of the design museum. 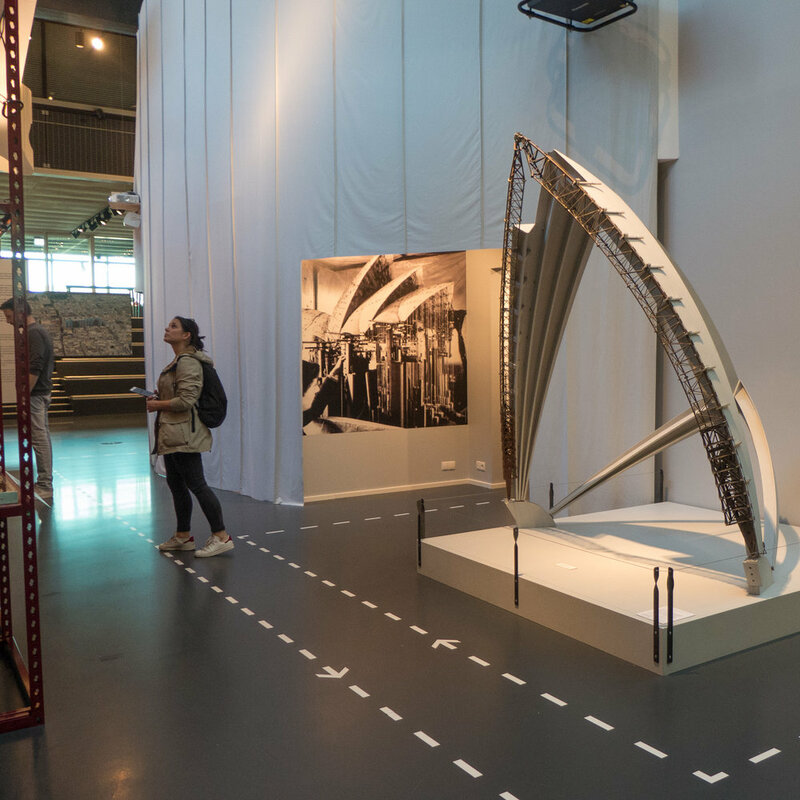 This is the final few days to see the major exhibition at the Danish Architecture Center about the life and work of the Danish engineer Ove Arup whose consultancy was instrumental in their partnership with architects working on iconic building projects from the Opera House in Sydney to the Pompidou Centre in Paris and for major transport projects including the road and rail bridge over the Øresund.